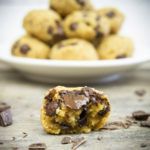 As always, the recipe is completely plant-based, refined sugar and dairy-free! 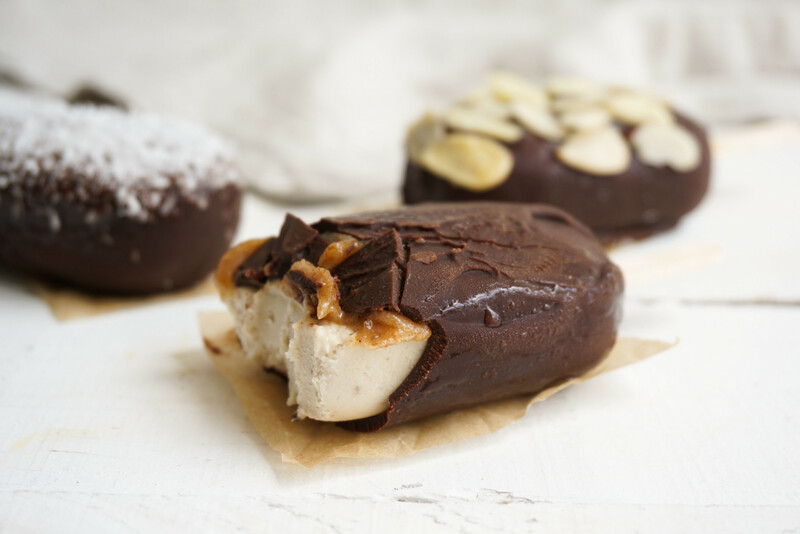 Due to the combination of cashews and coconut cream you get a really creamy and sweet inside and the salted caramel, together with the chocolate shell, makes it just about perfect. I got the inspiration for this amazing recipe from the lovely Erika from rawness.se and just adapted it according to my own taste. 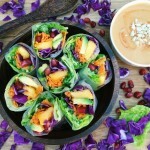 If you’re into raw food, you should definitely check out her website! Now, all you’ll need for this recipe is a good quality high-speed blender, so that there won’t be any cashew pieces left and these ice cream molds. 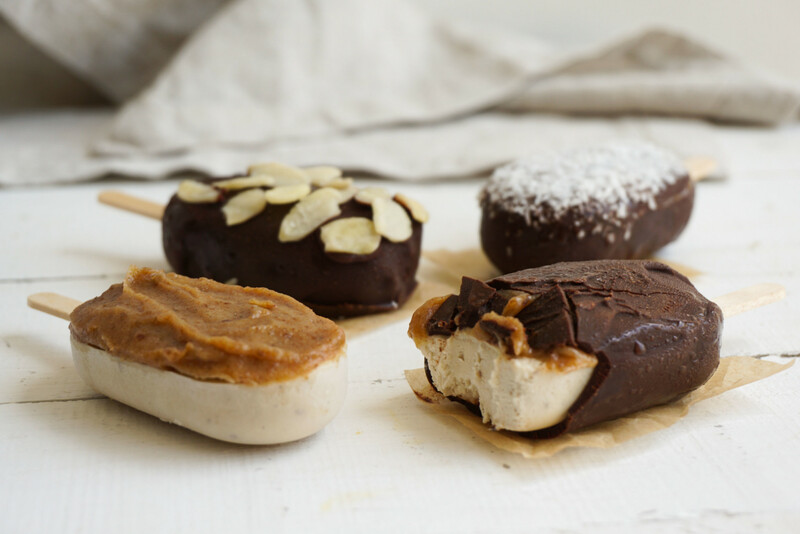 I always make sure to immediately wash the wooden sticks after eating so that I can use them again, and these molds just really give that authentic magnum look. Instead of combining the coconut oil with the raw cacao powder, you can also just use melted dark chocolate for the chocolate covering. Works equally good and is maybe more convenient if you don’t have access to high quality raw cacao powder. As for the toppings, get creative! I tried them with shredded coconut, sliced almonds, buckwheat groats and granola, all of which tasted amazing. Place all the ice cream ingredients into the blender and mix until you have a smooth mixture. Pour the ice cream mixture into the molds until they are ¾ full (make sure not to fill them up completely so you have some space left for the caramel). Add the wooden sticks and place the filled molds into the freezer for about 1 hour (the ice cream should be quite firm already). In the meantime prepare the salted caramel filling by placing all ingredients into the blender and mixing them until you get a creamy texture (this will take some patience and you will have to use you blender stick to mash up the dates). Once you got the desired texture spread the caramel evenly into the remaining ¼ of the molds. Place the molds back into the freezer for 1-2 hours until the caramel has hardened up. Combine all the raw chocolate ingredients in a bowl and mix until you get a smooth chocolate mixture. 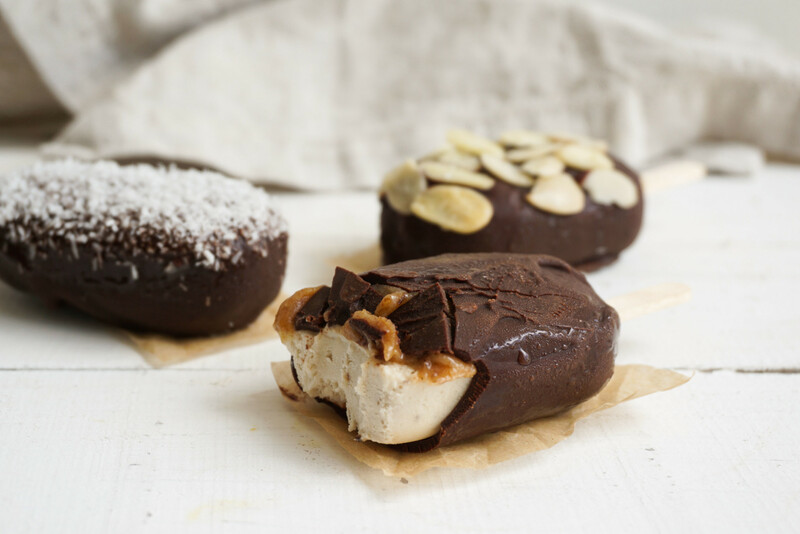 Dip each popsicle into the chocolate, top with crushed almonds if desired and place them on a baking sheet in the freezer to dry. Make sure to let them defrost for about 3-5 minutes at room temperature before eating! 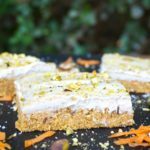 Recipe adapted from rawness.se – made changes according to my personal taste! Love it! 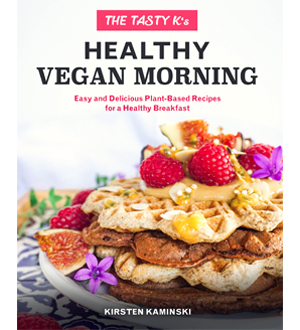 I own and operate a vegan B&B. Where did you get the molds to make them? Here is the link to buy the molds! 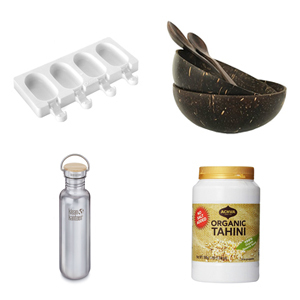 do you still need the coconut oil and maple syrup if you use melted dark chocolate in stead of raw cacao? I’m really up for trying your recipe! looks delicious! As I’m cashew nuts intolerant, do you know if other nuts can substitute the cashew nuts? Almonds? Hi, i am confused by the video presentation of coconut cream. I know coconut cream as being quite firm and fatty. The video showed a liquid looking like coconut milk. Can you clarify if it is canned milk or cream that should be used? Thank you. Can the nuts be substituted by anything?? 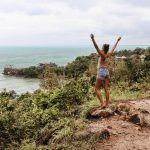 HI, thanks so much for creating such a great blog! Where did you get the icecream moulds from? How many calories is one ? Hi Kirtsten! 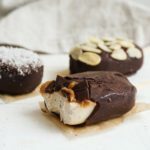 I stumbled across your blog via facebook and found the vegan magnum recipe- I tried out a tester version (ie, not in molds or with chocolate) and was astounded by the result! Fantastic texture and consistency, and the taste was incredible! I have tried coconut ice cream before but it was too, coconutty.. if you know what I mean, so the addition of cashews and such delicate sweetness of the maple syrup and vanilla is wonderful. As you can probably tell, I’m totally hooked on this ice cream! I hope it is healthy.. kinda! That recipe looks DELICIOUS and I am excited to try it. But I have helped my parents with their maple syrup business and it is very much cooked, so not a raw food. And, if I decide to use dark chocolate instead of cacao powder, do I still need to use maple syrup? If I wanted a milk chocolate instead of dark chocolate coating, could I add coconut cream to the melted chocolate & maple syrup? 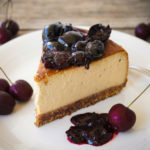 Hi there, Just wondering if i can use vanilla bean paste instead of powder? Thank you! Amazing recipe. The non-vegan in the household loved them too. Thoughts on subbing cocoa butter in place of coconut oil for the shell? Can I say this totally made me astounded? So great!! Hi ,your recipe is amazing ! But if I don’t have coconut oil for the cocoa mix, coconut oil and maple syrup by which I can replace it please ?